How Do Motion Sensors Work? Motion sensors are used in a wide variety of technologies today especially when it comes to home security systems. Many modern home security systems make use of motion sensor technology to accurately detect intruders and alert you when potential threats are identified. There are many different types of motion sensors which all have various benefits and downsides. Thus, it is important to understand how each motion sensor system works in order to evaluate which system will be best for suited for you. These types of sensors, also known as radar-based motion sensors, send out ultrasonic waves that when disturbed, triggers the alarm. The ultrasonic waves emitted by the motion sensors bounce back when they come into contact with any objects, and once interrupted by a person or object moving past it, the sensor will trigger an alarm or door to open; a system to switch on etc. Unlike active motion sensors, passive motion sensors do not emit any waves but rather absorb energy to detect changes in surrounding heat emissions. Thus, these types of motion sensors often use significantly less energy compared to active motion sensors that emit energy rather than absorb. These types of motion sensors are often used in home security systems to detect heat bodies such as an intruder. Additionally, this type of sensor technology can also be found in fire alarms and other sensor-based technology. Motion sensors such as these create microwave pulses that are emitted and reflected off objects allowing the motion sensor to calculate their position and determine if they are moving or not. Thus, these types of sensors are more sensitive than many others. However, these motion sensors also consume more power than most other types of motion sensors making their operational costs more expensive. Additionally, their pulses/cycles can be bypassed if you know the cycle pattern. Tomographic sensors make use of radio waves to identify any disturbances in the surrounding area. Unlike many other types of sensors, tomographic sensors can detect objects and movement through walls making them ideal in large spaces or areas with many static obstructions. These types of motion sensors are expensive and are often used in commercial security systems. These types of motion sensors make use of magnetic sensors that trigger when obstructed or separated. 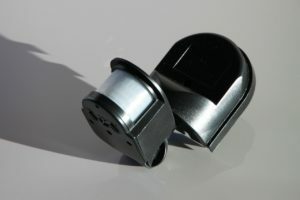 Motion sensors such as these are often used on windows and doors by placing a magnet pair on the door/window as well as the accompanying frame. Thus, when the door/window is opened, the magnetic bond is broken, and the sensor then triggers. Sensors of this type are often inexpensive and easy to install making them easily accessible and widely used. Photo-sensor motion detectors make use of a relatively simple concept using light/laser beams to detect movement. These beams are aimed at accompanying light sensors and when interrupted, the sensor triggers. This allows these sensors to detect movement in a specific area such as a doorway and they are relatively cheap and easy to install. However, these motion sensors only cover a very limited area and can be easily avoided if you know where the sensor is. Deciding which motion sensor is best depends on multiple factors such as the available budget, the intended use of the motion sensor, the environment that the sensor is to be used in, reliability and accuracy required etc. Different sensor types function better in specific environments making them better suited than others in certain instances. While a motion sensor such as a tomographic motion sensor is best suited for large areas such as a warehouse or factory floor, photo-sensor/magnetic sensors are more suitable for smaller and more specific areas such as doorways, windows or other specific areas you may wish to cover. Other factors such as available budget can also be important to consider when deciding on which motion sensor technology to use. Motion sensors such as passive motion sensors, magnetic motion sensors and photo-sensor detectors may be best suited for low budget home use environments whereas tomographic, microwave and active sensors may be more applicable in high budget commercial environments. Accuracy and reliability are other important factors when deciding on which motion sensor technology to use. E.g. a tomographic motion sensor may be more suitable in an environment where high-value equipment/goods are kept as these types of motion sensors are more reliable and accurate. On the other hand, motion sensors such as microwave sensors and magnetic sensors may be more suitable for general use. Using the right tools for the correct situation will help you get the most out of it. Thus, understanding how the various types of motion sensors work will provide you with the knowledge necessary to evaluate and understand which of these systems will be most relevant and suitable for you. Wiredsmart.io is a participant in the Amazon Services LLC Associates Program, an affiliate advertising program designed to provide a means for sites to earn advertising fees by advertising and linking to Amazon.com. Additionally, wiredsmart.io participates in various other affiliate programs, and we sometimes get a commission through purchases made through our links. © 2019 WiredSmart. All Rights Reserved.